“Asthma, influenza and vaccination” Journal of Allergy and Clinical Immunology 118.6 (2006): 1207. Print. “Why are Severely Mentally Ill Persons in Jail and Prison?” Ethics in Community Mental Health Care: Commonplace Concerns (2001). Dr. Blair loves spending time with family, exercising, and traveling. 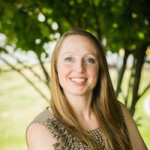 Dr. Courtney Jackson Blair has been a practice partner and co-owner of Allergy and Asthma Associates in McLean and Sterling, Virginia since 2011, and a physician with the practice since 2008. Prior to private practice, Dr. Blair was employed in Chicago, Illinois as an internist and pediatrician for health clinics associated with the University of Chicago and the Johnston R. Bowman Center of Rush University Medical Center. She currently specializes in adult and pediatric allergy and asthma care. 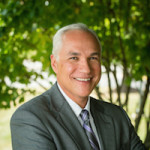 Dr. Blair attended medical school at Oregon Health and Science University, and graduated in 2002. She completed a residency in Internal Medicine and Pediatrics as well as a fellowship in Allergy and Immunology at Rush University Medical Center in Chicago. Dr. Blair was the Honorary Medical Chair for the FARE Walk for Food Allergy in Northern Virginia in October 2014. 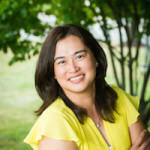 She is currently a Medical Advisor for the Loudoun Allergy Network. In February 2014, she was called on to provide expert commentary for WJLA News Channel 7 on allergies and the weather.